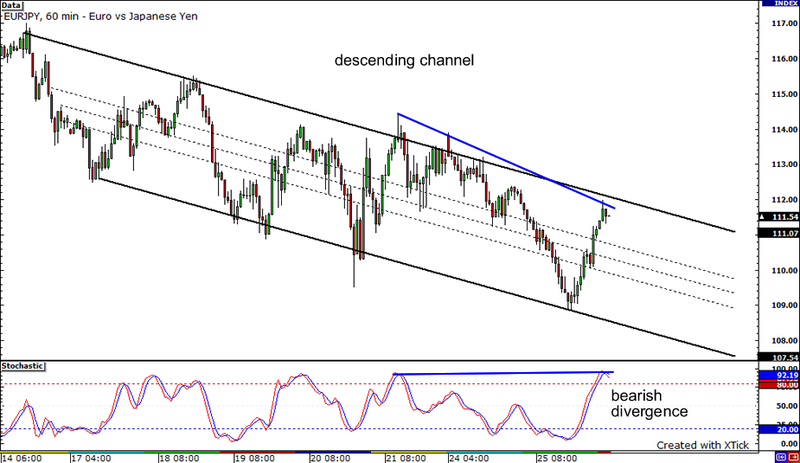 Let’s start with the EURJPY 1-hour chart. The pair has been bouncing up and down inside a descending channel for the past few days and it appears to be approaching the top of the channel. Since the pair is drawing lower highs while the stochastics are showing higher highs, that bearish divergence signals that the pair can start moving lower. If it does, the bottom of the channel can provide some support. If it breaks above the top of the channel, there’s resistance around the 114.00 handle. Guess what? 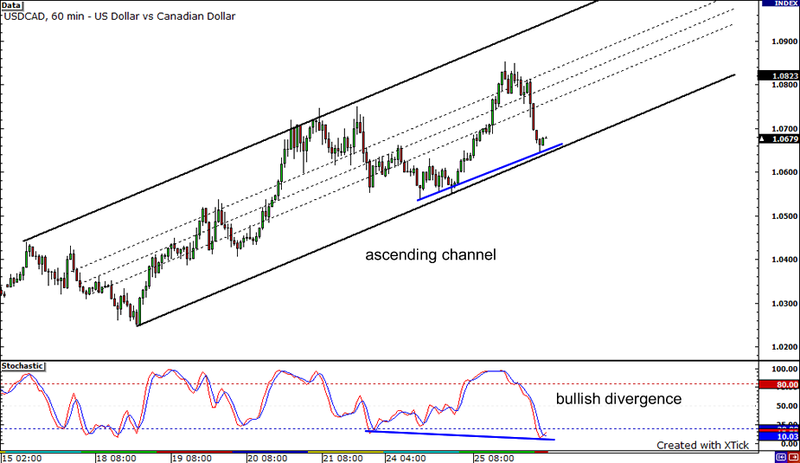 I spotted another channel on the USDCAD 1-hour chart… except it’s an ascending one for this pair. Right now, the pair is sitting at the bottom of the channel, still deciding whether to bounce or to break. And there’s a divergence right there too! With the price drawing higher lows and the stochastics sketching lower lows, that bullish divergence means that the pair can head higher. If it bounces from the bottom of the channel, it can climb all the way up and find resistance at the top of the channel. On the other hand, if it breaks below the channel, it can encounter support near 1.0550. Uh oh… Those people with shorts on the AUDUSD better watch out!I’ve spotted an almost perfect double bottom on the AUDUSD 4-hour chart, which could be an indication that the pair has found a temporary floor. 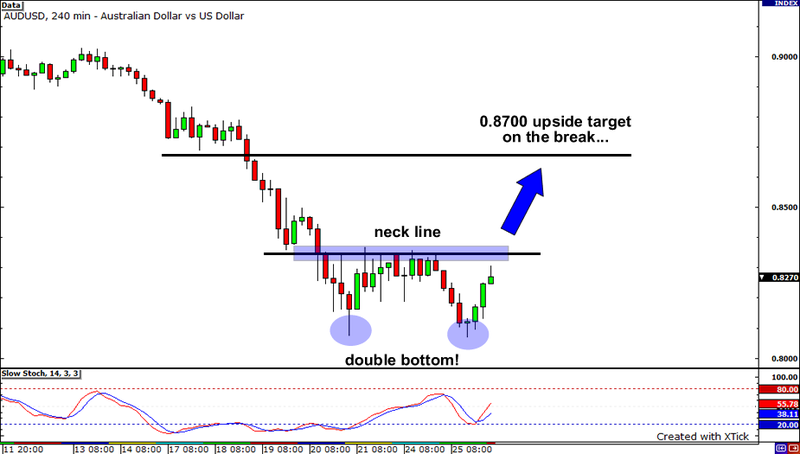 The important level to watch here is 0.8350, the neck line of the double bottom chart pattern. If a candle closes above the neckline, the pair can easily find some buyers and soar to the psychological 0.8700 handle. On the other hand, if price fails to find sellers at the neckline, expect the pair to retest 0.8060 for a possible triple bottom.